Some people have to work when most people are on holiday, in order to keep essential services going. 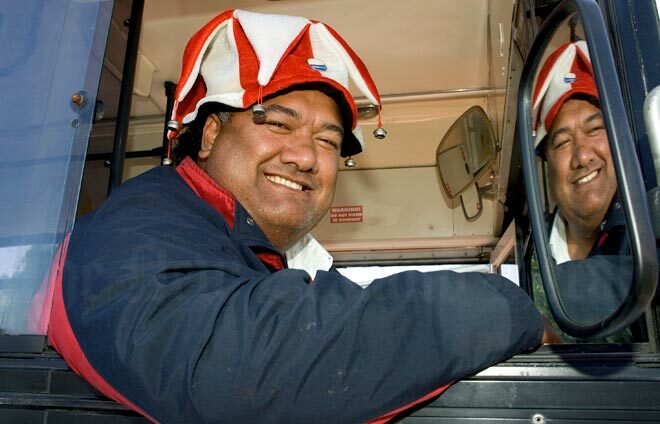 On Christmas Day 2006 Auckland bus driver Kilifi Tuipulotu was rostered to work as he had been for the previous five Christmases. He had always made the best of the situation by greeting passengers in his special festive hat.